Baked Vegan Sweet Potatoes. Maple. Cinnamon. Citrus. 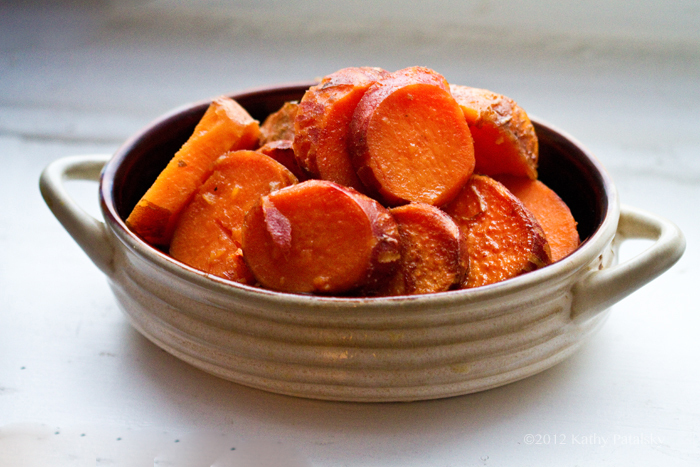 I want to share my basic, beloved "Vegan Holiday Sweet Potatoes" recipe with you guys. Just in time for Thanksgiving.. 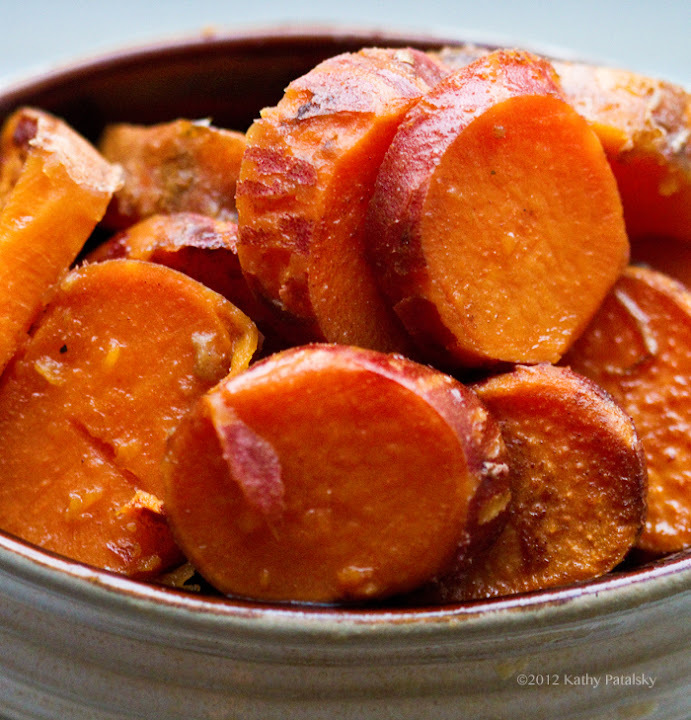 This recipe is pretty simple and lets the flavor and texture of baked sweet potatoes shine through. Flavors of cinnamon, maple, vegan butter and fresh orange accent. Holiday-table approved..
And Stuffed Sweet Potatoes continue to be one of my favorite comfort food dinners. 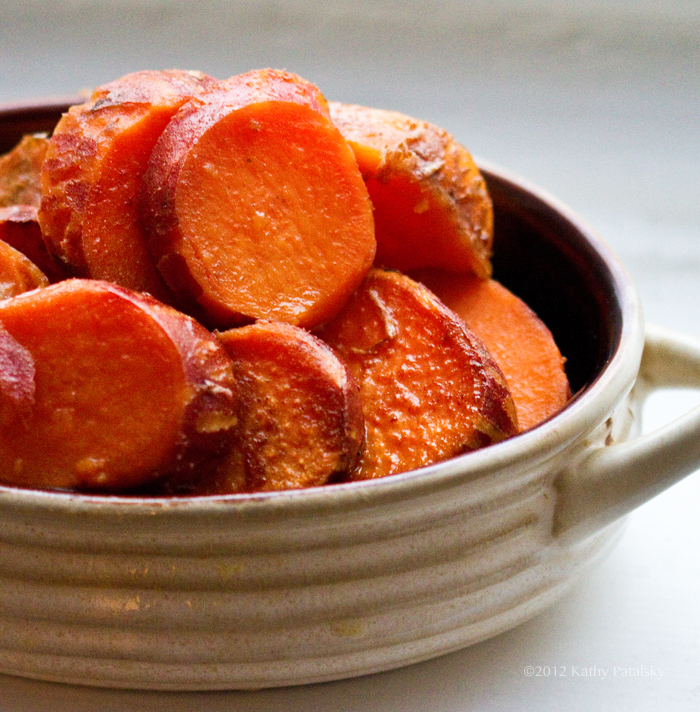 Veganize Your Yams! 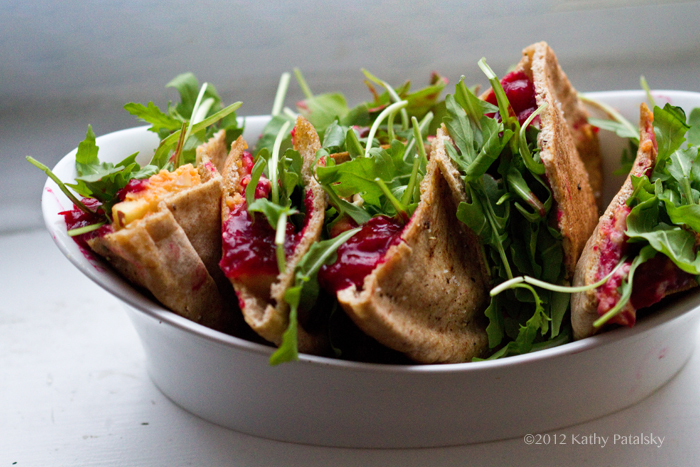 My recipe below (or your spin on it) is a must-have for any holiday feast. "Vegan" version sweet potatoes are easy. Just sub in vegan butter (Earth Balance) for traditional butter and make sure any sweeteners you use are vegan. Swap OUT any honey for vegan maple syrup or agave syrup. And use organic granulated sugars so you know they are vegan. * I like grade B maple syrup best for its dark color + flavor. You could also substitute with agave syrup if necessary. Optional: Toss in a few golden raisins, chopped pecans, diced apples, chopped walnuts or cranberries into the baking dish. For the marshmallow-lovers out there, toss in a few Dandies vegan marshmallows too. garnish: a few sprigs of green parsley are a nice touch. 3. Toss the medallions with the orange juice and maple syrup. Add in the spices and zest – toll well. 4. File medallions into a large casserole dish. Pour the maple/juice liquid you just tossed the potatoes in over top. Add in the pats of vegan butter (Earth Balance) all around the dish – just lay on top of potatoes – the butter will melt and disperse and the potatoes cool. 5. Sprinkle the additional sugar/spice mix over top the potatoes (additional cinnamon is optional, I usually just add a pinch to this mix so to not brown the potatoes too much – keep their golden color). Add your pinches of salt (about 1/4 tsp). 6. Cover with foil and bake at 400 degrees for 20 minutes. Uncover potatoes and with a spoon. (if the potatoes appear too dry – gather some of the liquid from the pan and pour over top potatoes to hydrate them, optional). Reduce heat to 375 and bake for an additional 30 minutes – or until the potatoes are perfectly tender. I like to remove the foil and broil the potatoes for a final 3 minutes before serving. This caramelizes the top of the potatoes with the brown sugar.